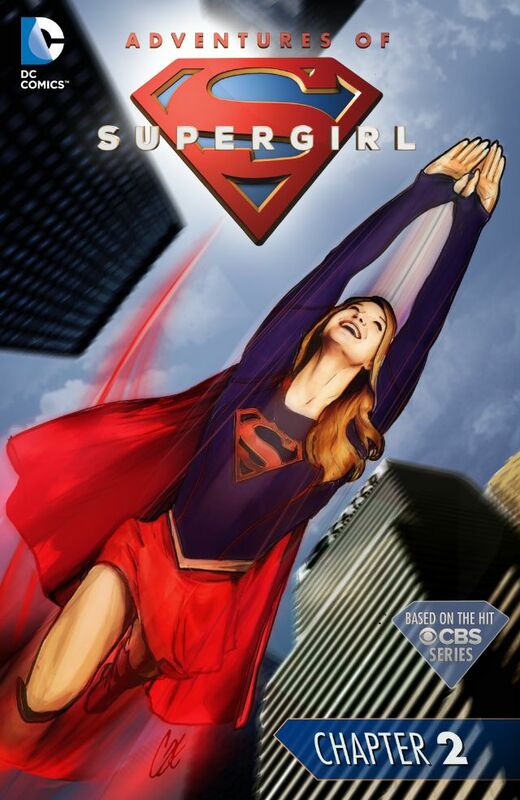 Supergirl is able save the damaged helicopter from crashing, and with all onboard safe, she and her sister, Alex Danvers, continue after Rampage. They track and find Rampage, but in the battle that ensues, Alex is put in jeopardy. Supergirl tries to save her, but in doing so, exposes herself to an attack by Rampage. Supergirl is knocked unconscious and taken off. Alex is able to survive her situation, and makes after Kara. Story - 4: A well-paced issue and much the improvement on the overture. Supergirl's internal monologue brings the reader along quite well, as she saves the helicopter and explains the great difficulty in doing so. It's a nice touch as too many times it can be taken for granted just how trying these sort of rescues can be, even if members of Super-Family have a tendency to make it look easy. Sterling has Kara's voice established for readers in an unobtrusive manner: it aids in enjoyment, without being pedantic. The story flows from panel to panel, page to page, to the point that another page is always expected, until there finally are none left. That being said, Supergirl being knocked unconscious by Rampage, who's an alien in this continuity, is a wee bit hard to swallow. Supergirl should be tough enough, if not fast and strong enough to incapacitate Rampage, as she was able to last issue, albeit only temporarily. Alex coming to Supergirl's aid, for me, is disappointing, as I would really like to see Supergirl handle this on her own. I understand the motive behind it: to show Alex as a strong character in her own right, and establish her as well as Supergirl, but Rampage is a lower-tier villain, to be frank, and if Supergirl needs assistance here, one can only wonder what the situation will be with a higher tier baddie like Parasite or Doomsday. I definitely don't want to see Kara as less than a fully capable heroine, even if it means less scenes bonding with Alex. Art - 4: Jury's in. Bengal's work is looser than I usually like, but it suits the pace of the story. Cover Art - 4: That's our girl... though the blue on the inside would look better.